removed that his deafness would become irrelevant. That place turned out to be Zambia, where Swiller worked as a Peace Corps volunteer for two years. There he would encounter a world where violence, disease, and poverty were the mundane facts of life. But despite the culture shock, Swiller finally commanded attention--everyone always listened carefully to the white man, even if they didn't always follow his instruction. 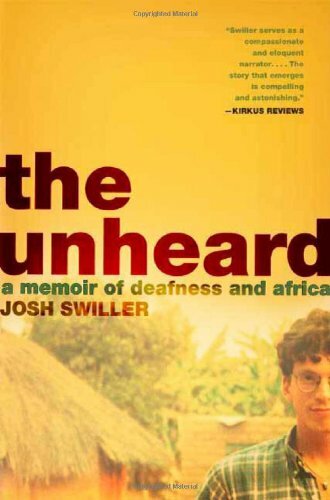 Spending his days working in the health clinic with Augustine Jere, a chubby, world-weary chess aficionado and a steadfast friend, Swiller had finally found, he believed, a place where his deafness didn't interfere, a place he could call home. Until, that is, a nightmarish incident blasted away his newfound convictions. At once a poignant account of friendship through adversity, a hilarious comedy of errors, and a gripping narrative of escalating violence, "The Unheard" is an unforgettable story from a noteworthy new talent.